Next week-end, the Hamptons season will start. A ritual for the Rich and Famous and for the lucky ones who secured a rental in this chain of upscale villages facing the Atlantic. On Sunday, many owners left their beautiful premises with manicured gardens, well-tended grounds and pristine pool. Many have worked around the clock to get their house ready for the Renters. This special breed blossoms between MD- LD ( Memorial day to Labor Day), likes to shop and eat well, and this is good for the economy. They should check out Pierre’s new take out on Main Street Bridgehampton, next to his restaurant. Excellent chocolate croissants pains au chocolat cost no less than $3.25 and the double cappucino sky rockets at $6 . It is Pierre’s, and all the ladies will forgive Pierre Weber upon a smile. Husbands might be more reluctant to do so. 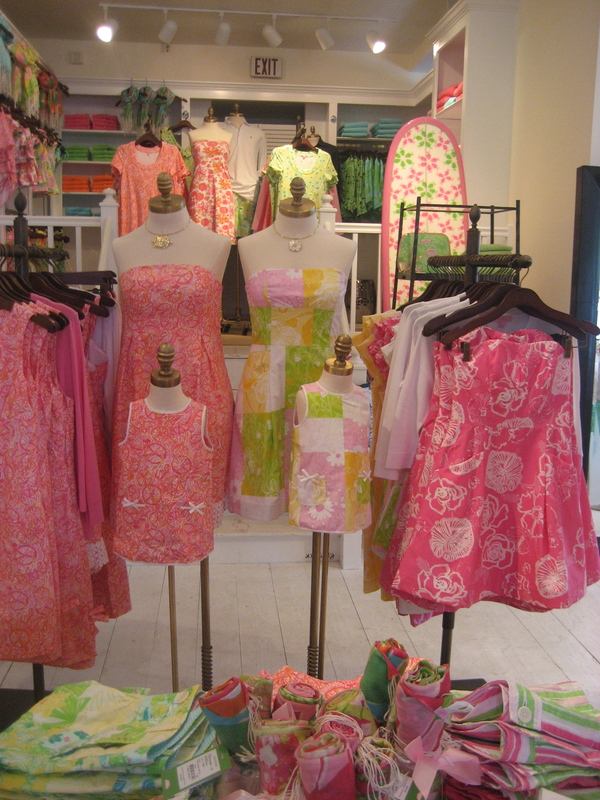 So is the new Lilly Pulitzer’ temple! There are now three French women designers on Main street! Cocorico! Catherine Malandrino opened a few years ago and has established herself as an Hamptonian ( even if she prefers St Trop’!). Next to her is Christiane Celle with her large Calypso store that includes fashion and interior design. New on the block, on the other side of Main Street, is Vanita Rosa, a brand created by Valerie Bourdin. This Parisian ex-model worked six years with Dolce & Gabbana prior to creating her own line. 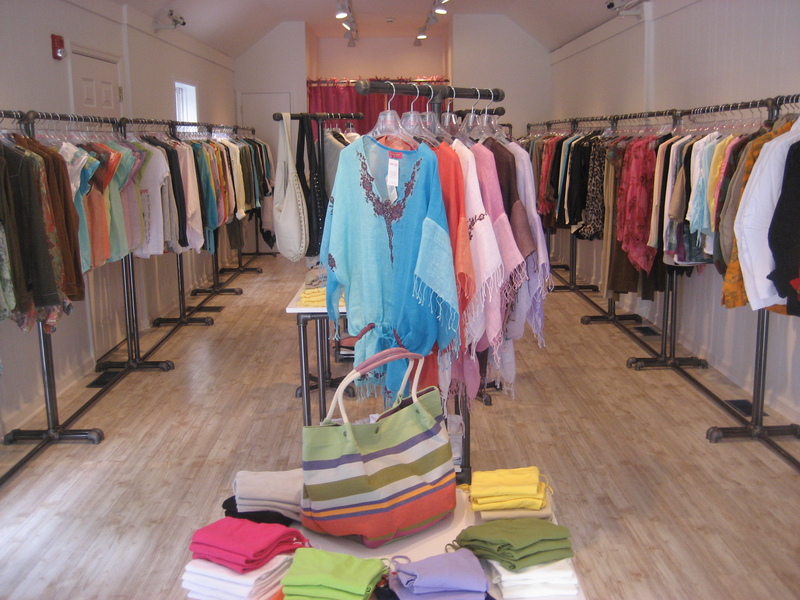 She has shops in Paris and St Barth and corners in Beautiful People’s places including Saint Tropez, Courchevel, Monaco…. 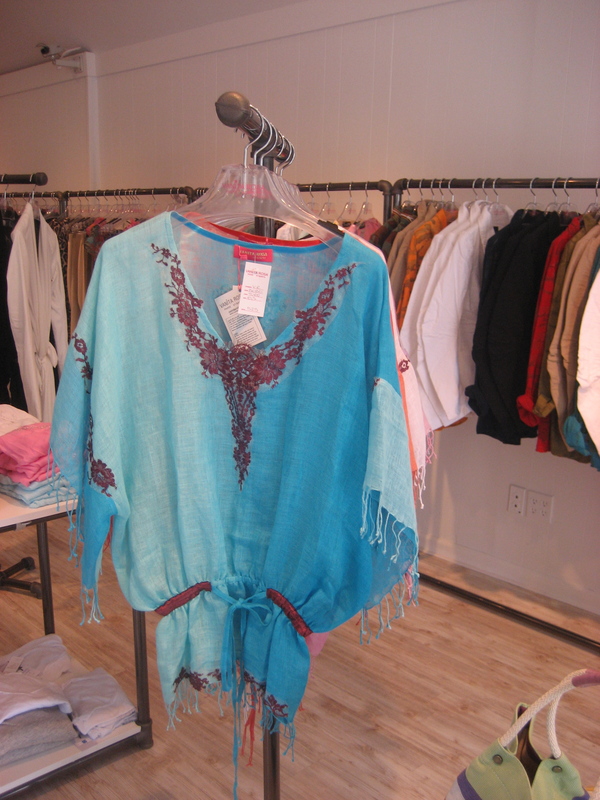 Like Christiane Celle, she found her inspiration in St Barth and her collection bears some resemblance with Calypso’s…. It is all very summery and light with delicate cottons. 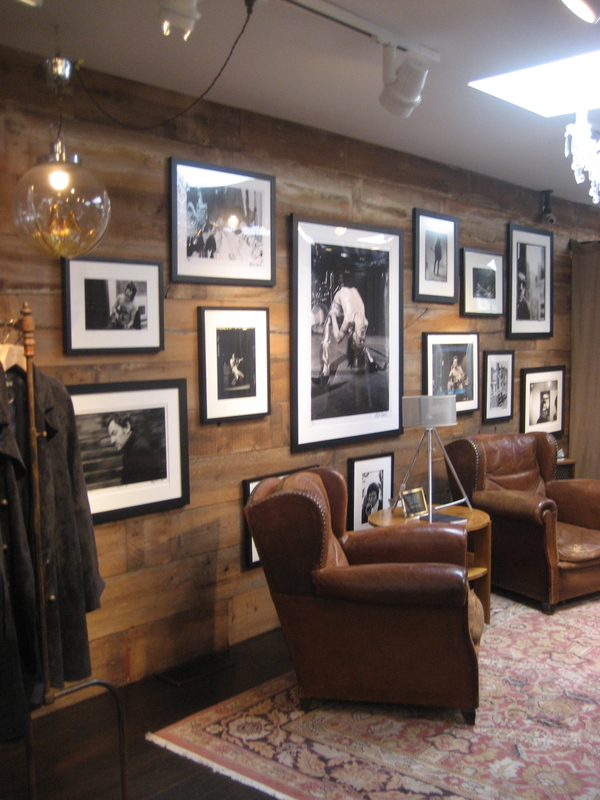 Far from this girly universe, next door is John Varvatos’Rock’N Roll store. It has been around for a while but remains one of my favorites .